Calling all youth ages 6-18 to join us this Friday, April 12th from 7pm-11pm for a night of fun arcade games. 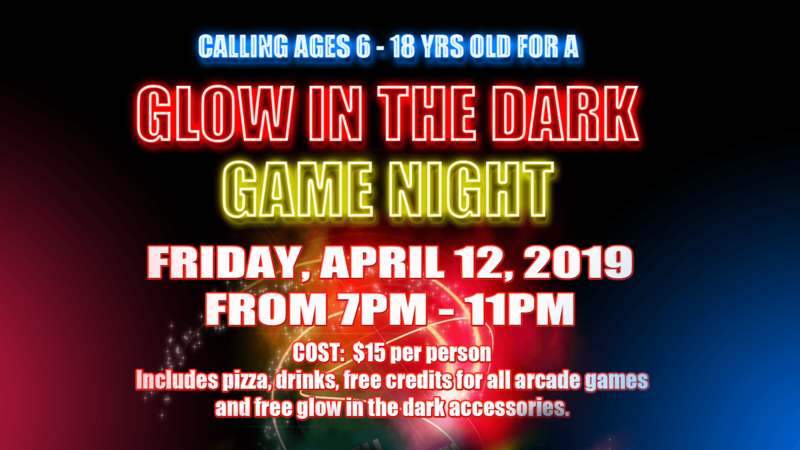 The cost is $15 per youth and includes pizza, drinks, credits for all arcade games, prizes and glow in the dark accessories. Please click here to register.